Juanita Douglas, teacher and PwC Foundation grant recipient for Historymakers oral history digital archive. 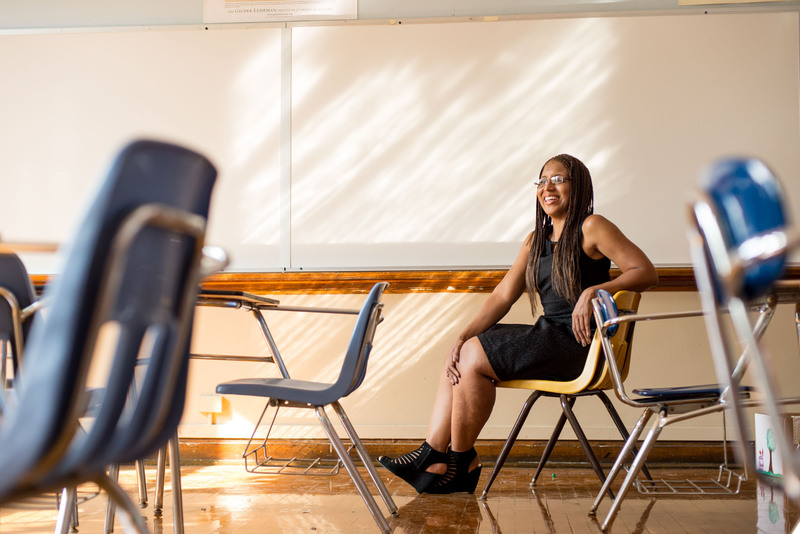 In her classroom at Lincoln Park High School, Chicago IL. For PwC Foundation.